«When Tiziano from Gusville Dischi asked me about the tribute, I nearly cried. I thought back to me being an eighteen compulsive listener, all alone in a bedroom too small to contain hundreds of records and magazines stockpiled everywhere… listening stunned to the Sea Urchins, the Blueboy and wondering from which extraordinary planet those bands had landed on earth, while I was taking my first steps onto this world. Of course we have called our closest friends, between Rome and Latina (some of them now based in London and Tokyo), which happens to be our favorite bands too! Everyone chose its favourite song and recorded everything at home, apart from a couple of songs made with the help of Filippo Strang from the VDSS Studio in Frosinone. A label like Sarah Records may sound unattractive to many people nowadays. No photonic drugs, wild fights, crazy parties or rock star scandals à la Creation. Rather, cheap records, photocopied artworks, handmade fanzines: it was all about ordinary troubles for ordinary people. Founded in the late 80s by Bristol-based Clare Wadd and Matt Haynes who managed to release some of the most intensely pop music ever – yet never really hype for those times, let alone now! – with just a handful of ambitions and no will of giving in compromises. Today, at the peak of the instant-mass-sharing age, where everyone claims its own 15 seconds of virtual celebrity, the deeds of a niche label focused on releasing music just for the taste of doing it, might seem anachronistic and a nonsensical end in itself – at least to the eyes & ears of an average young listener, who in 1987 was still far from being conceived. So what is the actual meaning of a tribute in 2018? Firstly, a declaration of intent. And a declaration of love, too. No label has been more proud of its freedom and ideas than Sarah Records. They were able to bring together a different pop attitude, with the critical and aggressive activism of DIY punk. The only place where the unconditional romance of a lovesong could be accompanied by a feminist or anti-capitalist political manifesto, was only in the arms of Sarah. In hard times, as Confucius told, when a great outward action is impossible, nothing remains but to refine one’s character in small: you can do preparatory works, acting changes through tiny things, good words, a firm inner decision and a mild external adaptation. 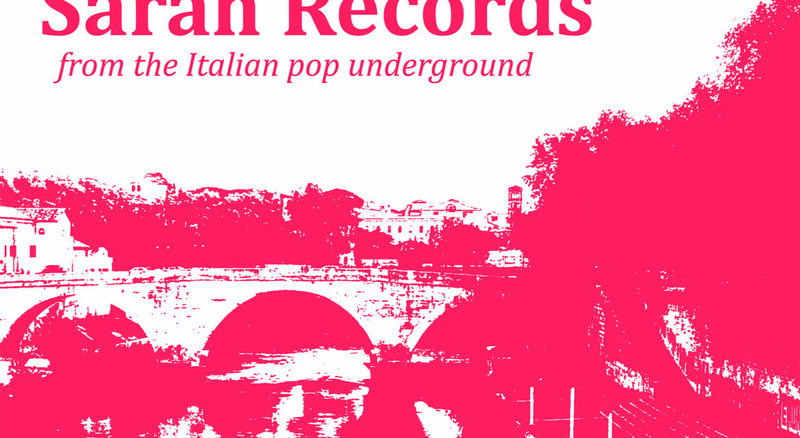 For eight long years nobility of soul, congruence and perseverance have fueled up the sonic battles of Sarah Records: those are also the premises to which we feel in need to return during our contemporary space-time frame where homologation and lack of contents stand out, especially in Italy. Those records & fanzines teached us how to cultivate awareness, difference and dialogue; now more than ever it is fundamental to protect the constant exchange of ideas between human and musical communities on which our whole existence is grounded, that relatable sort of secret sign which bond us together at very first sight. Our hope is this selection will let you re-discover the awesome music made by Sarah Records, while inspiring you to be free, rise up and try each day to build a better future for yourself and people around you. Possibly, with some good tunes.